Getting that job is undoubtedly the single most important thing in the mind of any professional looking for a change. How (s)he gets it, is the least important. Candidates today are much bolder in their approach towards employers and employment offers and at times do not flinch when posting their creative applications for jobs. As I browse the internet, I see many articles being written on the use of creative resumes and linked in applications. Let’s try to understand how each of these approaches present your case for candidature to any employer. Business Insider writes an article on how certain cool resumes have benefited candidates. The thing to notice in all the 13 resumes shown is that the candidates were not just good; they were perhaps the best in the skills they were selling. Always remember, if you are better than the rest, the world is your playground. Play with your resume, your profile, your approach to any interview and you will always get hired. If you are the second best, don’t. Period. A creatively designed resume is always noticed, without a doubt. But you need to be careful about where you apply with it. Graphic designers and illustrators will be appreciated for such an effort. Marketing grads might be. Finance guys, definitely not! If a company has a serious work culture, such an effort from your part will never be valued; in fact it might be taken as offensive in some cases. So, use your own discretion. So whether it is LinkedIn or a LinkedIn killer, your social profile is being scrutinized, whether you like it or not. “There’s nothing that screams more accurately who you are than a Facebook page.” – Van Allen, Owner of The Hire Connection (excerpt from Dori Meinert, Seeing Behind the Mask, HR Magazine). Some value-add applications, which speak something about your interests. Another thing which you need to do is join professional groups and do some question answering in the forums. Of course some research has to go into which groups you should and should not join. You can read more about how to make a striking LinkedIn profile here. 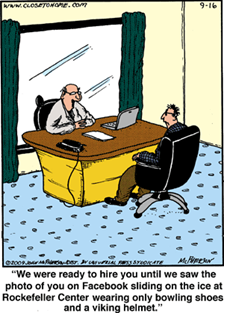 The old traditional method of impressing employers is still the preferred one. Nothing can beat a nice crafted and crisply written resume on a margined A4 sheet of paper. Resumes that have been ‘worked upon’ are the resumes that actually sell. 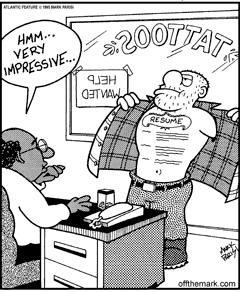 If you have put in an effort in making your resume look good, it will show and employers will appreciate it. Words like “detail-oriented”, “team-player”, “hardworking”, “proactive” are only considered as show words. What happened to those modest candidates?! These adjectives don’t even come close to enhancing your application, because recruiters know that these are only words. There is no work which would not want you to be hardworking, so it’s implicit; you don’t have to write about it. “Salary negotiable” – this should NEVER be in your resume. Such a line only shows that you probably ran out of achievements to talk about. And then again, if your salary is not negotiable, that’d be sort of unusual, right. “References – available on request” – If you don’t write this and the employer asks for a reference, will you refuse? Again an unnecessary item which should be removed. “Objective” – There is just one scenario where you need an objective statement in your resume – during Career Change or when you are applying for a position where you do not have enough prior experience. 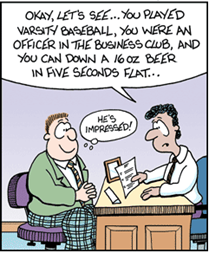 In all other circumstances, an objective wastes precious lines on your resume. A quirky email address like “luvtohunt(@)xyx.com” is a big turn off for any recruiting manager wanting to contact you. Avoid such email ids and preferably create separate emails for professional communications. As for the things you should do, enough has been said already.